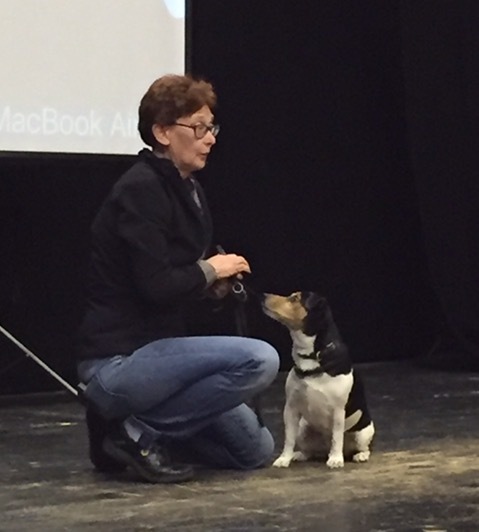 We had a great time at Brenda Aloff's seminars with Dog & Bone this week, Brenda was discussing Handling Reactive Dogs and Training Reactive Dogs and we had a stand at the Bedfordshire and the Yorkshire events. 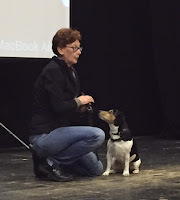 Brenda was a fascinating speaker and obviously a fan of Naturally Happy Dogs, so much so that she was more than happy to do some more filming before her seminars even started. We look forward to editing those three new videos and putting them live soon. The NHD stand was very popular at the seminars, with many people coming over to sign up.